This one will probably go down as Manic Monday. In terms of activity at Ibrox, Monday the 26th of June has seen an unprecedented amount of news come out of the club in terms of one day and player changes. Let us try to summarise the main talking points in one easy-to-digest chunk! Pedro Caixinha announced his Europa League squad today, and it was as interesting for the players he left out as it was for those he included. The players who will definitely play no part against Luxembourg’s Progres are Matt Crooks (could not anyway, he is crocked), Andy Halliday, Joe Dodoo, Michael O’Halloran, Harry Forrester and Rob Kiernan. This does force the 99% certain conclusion these players are on their way out, with no future under the Portuguese. The players who were part of the squad included all new signings apart from Portuguese Daniel Candeias, whose paperwork was not ready in time. So, Bruno Alves, Fabio Cardoso, Ryan Jack, Carlos Pena, Dalcio, Alfredo Morelos and Eduardo Herrera are all expected to feature at some point over the two legs. Alves will miss the first leg for certain due to international commitments and is a doubt for the second. But he could still play a part. This takes us onto the next part – incoming signings. Last night it was confirmed that the Graham Dorrans deal is back on the table. 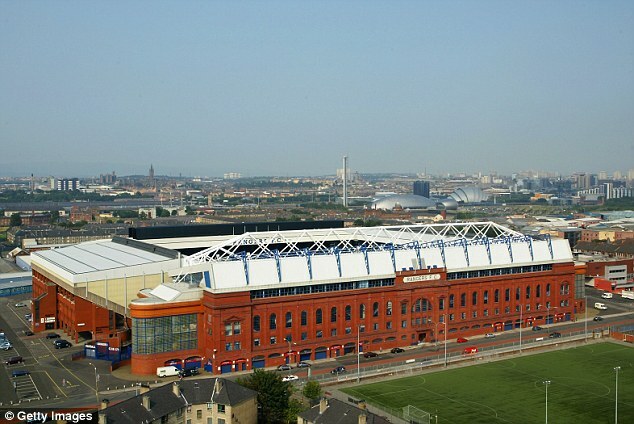 Reports coming out of Ibrox claim Norwich are now considering Rangers’ £1.3M bid (with addons) and the deal could after all be sealed within 24 hours if they agree. Hopefully they will. Furthermore, Hearts are in discussions with former Rangers star Kyle Lafferty, and Motherwell's Chris Cadden (they reportedly bid £400K) which could open the door for an easier exit for Jamie Walker. Lafferty, like Cadden, can operate on the wing, and Hearts seek to fill that gap in the event of losing Walker. Meanwhile Aberdeen are in reported talks over Lafferty’s ex-team mate Steven Naismith in a surprise move, which, if successful, could open the door for Kenny McLean’s sale. As for the other way, we have Michael O’Halloran – St Johnstone are confirmed as having made enquiries over their ex player, and frankly his time at Ibrox just has not worked out – excluded from the UEL squad, the boy’s Ibrox spell is coming to an end and this one might not be long before it happens. And speaking of Rangers players moving to other SPL teams, as we brought you earlier, Andy Halliday, surplus now, is a big target for Neil McCann’s Dundee. Meanwhile Carlos Pena’s agent has admitted the move to Ibrox is a stepping stone to the EPL. Well, if he is good enough and Rangers can get good money for him in a couple of years, there is no harm in that. And last but not least, James Tavernier – a bid was rejected yesterday from Forest, said to be a six-figure sum – but Warburton is expected to come back in for his favourite player with an improved bid over seven figures. And the player is said to be pliable to such a move. It really has been an extraordinarily eventful 24 hours at Rangers, and you would have to argue little of this is bad news. Good to see all the surplus garbage is on its way, the same muppets that help embarrass us last season, I really think if they can gel they'll stop Celtic from 3 in a row lol. I suspect we may have turned down the offer for Tav as he is needed for the Europa League tie on Thursday - but my feeling is he will end up at Forest. Without Alves we are very vulnerable in defence going into this tie. IfvWilson is still injured then we are likely to have Bates paired with Cardosa in central defence. Add to that a squad that barely recognises each other at this stage, and in Caixhina a manager with no European pedigree at all. Despite our best efforts to get things done in the transfer market early doors we are far from ready at this stage. For the sake of 300K more not pushing the Dorrans deal over the line sooner may turn out to be false economy if we crash out of europe. Naismith to Aberdeen would worry - he is still a class player - don't be fooled by his form at Norwich - wrong club at the wrong time. I realise it is not popular to say so - but I'd have him back at Ibrox where he belongs. Surely Aberdeen wouldn't afford him, we should go all out for him. It is a major worry that Lafferty and Naismith have not been signed. Regardless of the past, for where our club is at the moment both these players qualities, experience and passion are sorely needed. Would really add to the balance of the squad with the foreign imports also,will be severely disappointed if both or at least Naismith isn't back at Ibrox, would be a huge opportunity missed. Should have been first through the door.